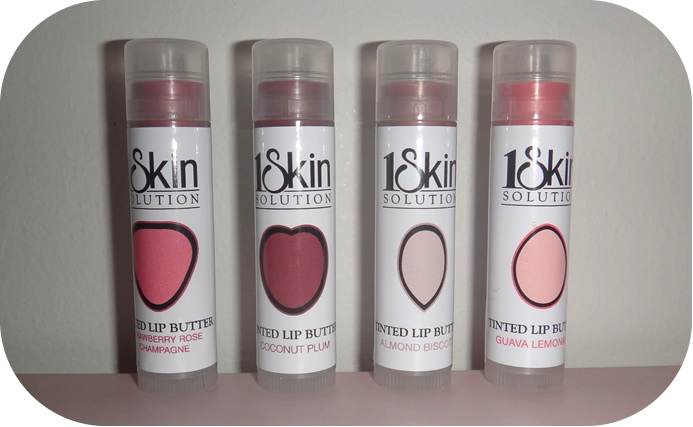 This is my review on four lip products from the amazing company 1 Skin Solutions. I have spoken about this brand before in a video which I have included at the end of the review for you to take a look at. 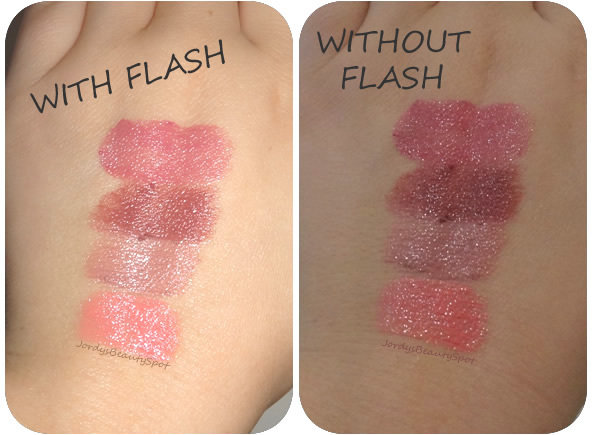 These Tinted Lip Butters are very comparable to Revlon Lip Butters as they are both of amazing quality and the only difference between them is that the ones from 1 Skin Solutions are much cheaper! A Revlon Lip Butter can set you back up to $22 while a 1 Skin Solutions Lip Butter will only cost you $14.50. These "Tinted Lip Butters" have a creamy texture that can be built up to be a vibrant glossy finish with a great scent and flavour. These are great for everyday use to keep your lips soft and hydrated. Read on to find out more about each specific Tinted Lip Butter and it's colour, scent and flavour as well as where to purchase them from. Keep reading until the end for some swatches. 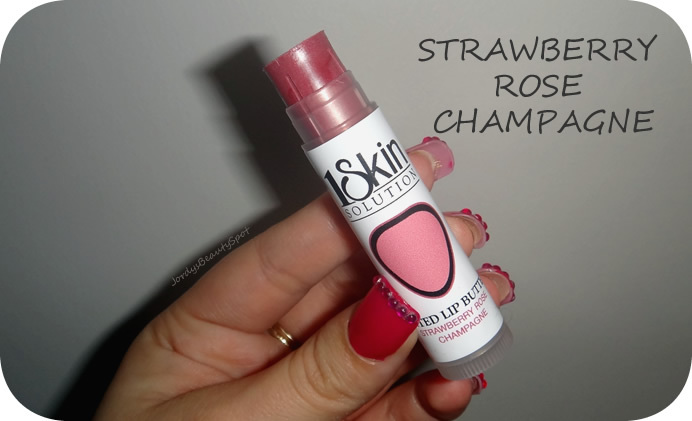 1 Skin Solution Lip Butter in "Strawberry Rose Champagne"
This one is a soft sheer rose pink colour and smells exactly like the name! Probably my favourite out of them all because I love how this colour looks on the lips. Click here to buy this. 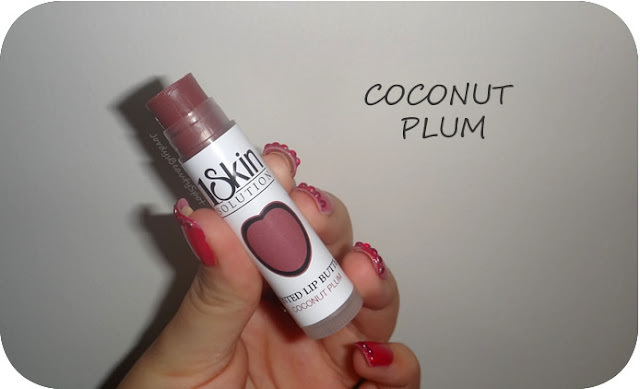 1 Skin Solution Lip Butter in "Coconut Plum"
Coconut Plum is a soft sheer plum colour that is quite pigmented and has a delicious flavour of coconut and a hit of plum. If you love dark colours for winter this is not only going to look great but also help moisturise your lips from the cold weather. Click here to buy this. 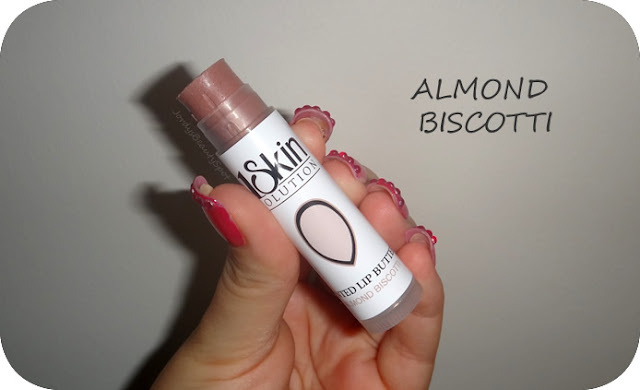 1 Skin Solution Lip Butter in "Almond Biscotti"
I love this soft sheer pink beige colour and it smells amazing, like a bakery. It's great if you love sweet smells and you won't be able to stop licking your lips because the scent is delicious! Click here to buy this. 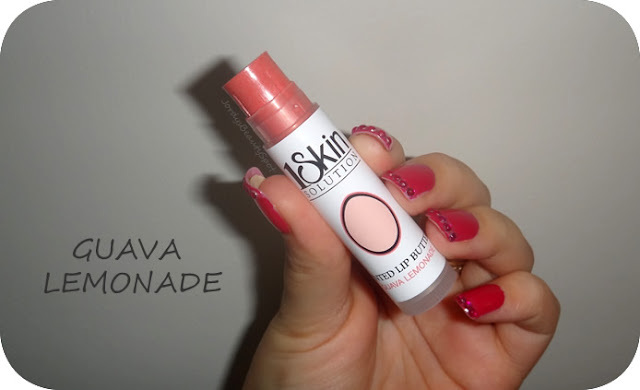 1 Skin Solution Lip Butter in "Guava Lemonade"
This one is a soft sheer coral tone, perfect for adding a pop of colour to an everyday makeup look with the added benefits of this product moisturizing also. Click here to buy this. These Tinted Lip Butters provide great moisture and a sheer colour to the lips. Perfect for throwing in your handbag and taking wherever you go to moisturise and add some colour to your lips instantly. I have included the video I have done in the past on other 1 Skin Solutions products so you can watch that as well if your interested in hearing about more products from this company. Thank you Jordy the post is great and I am glad you are loving the lip butters!! This post is great! Where did you buy them?